Dice | Oh No! Not Another NYC Food Blog! 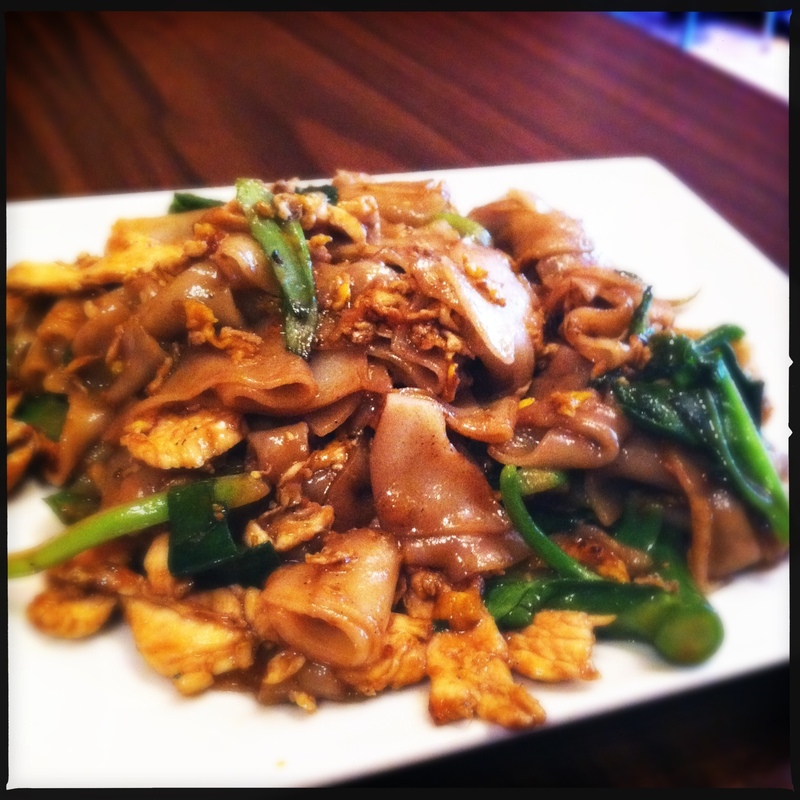 I had the Spicy Basil Chicken and my DH had the Pad See Ew with Chicken. 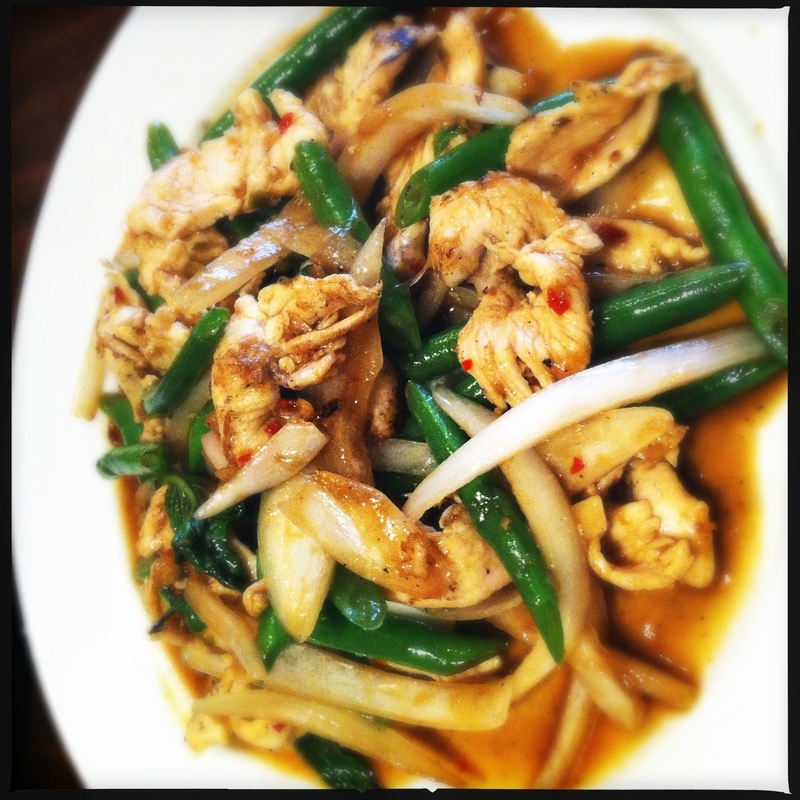 My dish had a great taste with just the right amount of spice, and his dish had a surprising depth of flavor. 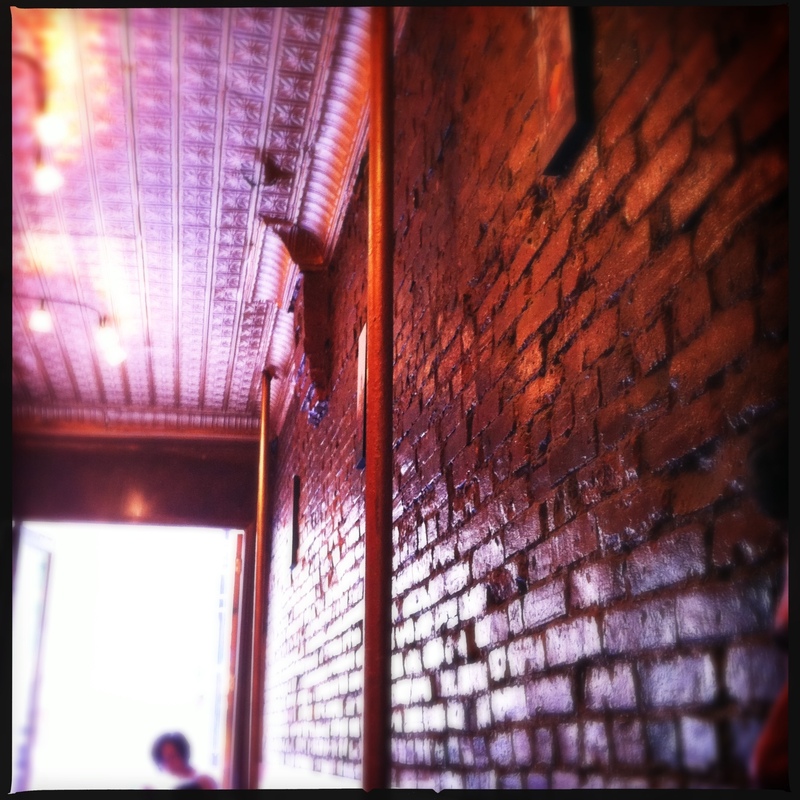 Very skinny space with copper interior, exposed brick & layers of tin ceiling. Omfg I wanted the duck pad thai, but I was trying to behave calorie-wise since I was going to see a movie that evening, and a movie just isn’t a movie without popcorn. Duck is an option for any menu item, and it looked wonderful.